L.A. is a great, great city with lots of character. 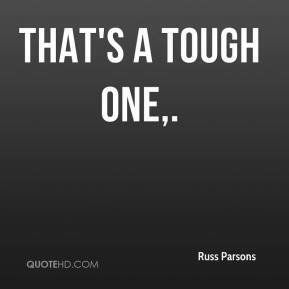 But it reveals itself very slowly. To give up the best of itself ... you have to be here for awhile, and settle into it. 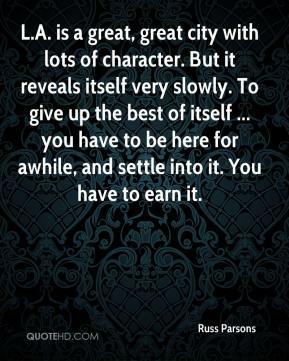 You have to earn it. If I moved away, I would definitely miss the Mexican food. 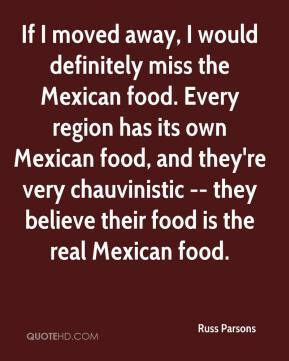 Every region has its own Mexican food, and they're very chauvinistic -- they believe their food is the real Mexican food. The real story of Los Angeles food is in the waves of immigrants who came through. So talking about the food really depends on when you're talking about, how recent, and how specific you want to get. 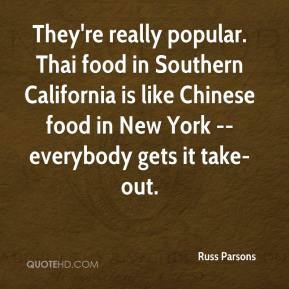 In New York, it's all about restaurants -- prepared food. 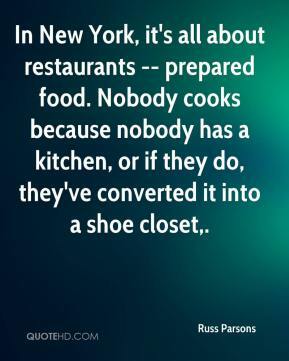 Nobody cooks because nobody has a kitchen, or if they do, they've converted it into a shoe closet. 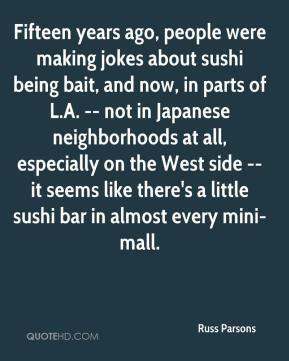 Fifteen years ago, people were making jokes about sushi being bait, and now, in parts of L.A. -- not in Japanese neighborhoods at all, especially on the West side -- it seems like there's a little sushi bar in almost every mini-mall.